I am aware that puppy millers, CAFO owners, large (and potentially polluting) agricultural interests, mining and timber companies, have all been very unhappy with the fact that information about their interactions with the government can be exposed via FOIA request. This is reflected in one 2016 court case decision, American Farm Bureau Federation v EPA. In my opinion, this case triggered the USDA APHIS’ action. The DOJ maintains a record of cases related to the federal agencies and the FOIA. Farm Bureau et al is the only recent case that impacts on Exemption 6, the privacy exemption, as established by previous court cases. In Farm Bureau et al, the EPA released records of CAFOs in response to FOIA requests. The records contained information about the CAFO owner, including name, address, phone number, and GPS location if the owner resided at the same location as the CAFO. The Farm Bureau stated the CAFO owners’ privacy was violated. The EPA stated the information was already publicly accessible, and therefore the CAFO owners weren’t harmed. The district court sided with the EPA. The disputed spreadsheets themselves could be disclosed in redacted form and still inform the public about the agency’s collection efforts. See id. at 174, 177-79. If information implicating a substantial privacy interest were redacted, the spreadsheets with columns reflecting only system permit status, city, county, and zip code would reflect the scope and comprehensiveness of the EPA’s collection efforts without intruding on the personal privacy of CAFO owners. The marginal public interest in disclosing personal information such as names, street addresses, phone numbers, e-mail addresses, and GPS coordinates is de minimis. To recognize a public interest in disclosure of private information merely to verify that it has been collected would swallow the rule that Exemption 6 protects against clearly unwarranted invasions of personal privacy. The EPA suggests that Congress, having required public disclosure of permits and permit applications, placed a premium on citizen involvement in the regulatory process under the Clean Water Act. Therefore, the agency argues, there must be a public interest in releasing personal information about CAFO owners to the requesters. The Clean Water Act, however, did not amend the public interests that are relevant under FOIA—i.e., shedding light on an agency’s performance of its statutory duties. That the requesters may seek to vindicate policies underlying the Clean Water Act does not affect the FOIA analysis under Exemption 6. See FLRA, 510 U.S. at 499. All told, we conclude that the EPA’s disclosure of spreadsheets containing personal information about owners of CAFOs would invade a substantial privacy interest of the owners while furthering little in the way of public interest that is cognizable under FOIA. Under those circumstances, disclosure “would constitute a clearly unwarranted invasion of personal privacy,” 5 U.S.C. § 552(b)(6); see FLRA, 510 U.S. at 500-02, and it was an abuse of discretion for the agency to conclude otherwise. Accordingly, the agency records at issue were exempt from mandatory disclosure. Campaign for Family Farms, 200 F.3d at 1189. It’s a compelling argument. Technically, one could seemingly determine how well the EPA is doing collecting information about CAFOs in order to enforce the CWA using generalized regional information rather than having access to individual records of CAFOs. An interesting argument, but one that fails related to USDA inspection records of individual companies or people. 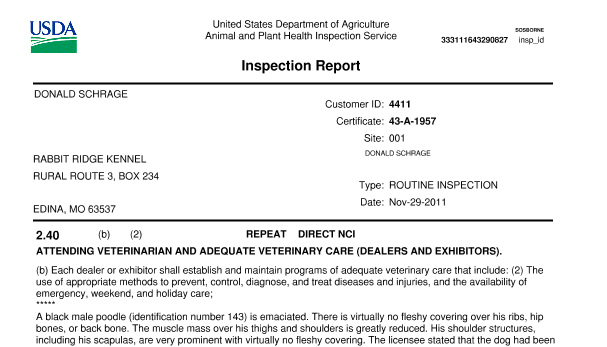 One cannot tell how well the USDA is enforcing the AWA by examining how many dog breeders are inspected in a region. And the USDA APHIS frequently does not do a good job in enforcing animal welfare laws. The individual inspections records have been used in the past to demonstrate that the USDA is not doing a good job, and there is no other way of determining this information. As an example, without being able to differentiate between the individual dog breeders, and having access to all of their inspection records, we have no way of knowing that the USDA APHIS isn’t pulling the license of a breeder who allowed a dog to slowly starve to death —only the latest incident following continuous severe and frequent violations for this same breeder every single year as far back as the inspection records exist. The USDA OIG has noted the USDA APHIS’ problematic enforcement of animal welfare laws again, and again, and again. These audits most likely would not have taken place without pressure from animal welfare organizations such as HSUS, and HSUS couldn’t know that enforcement is lax without the individual records. 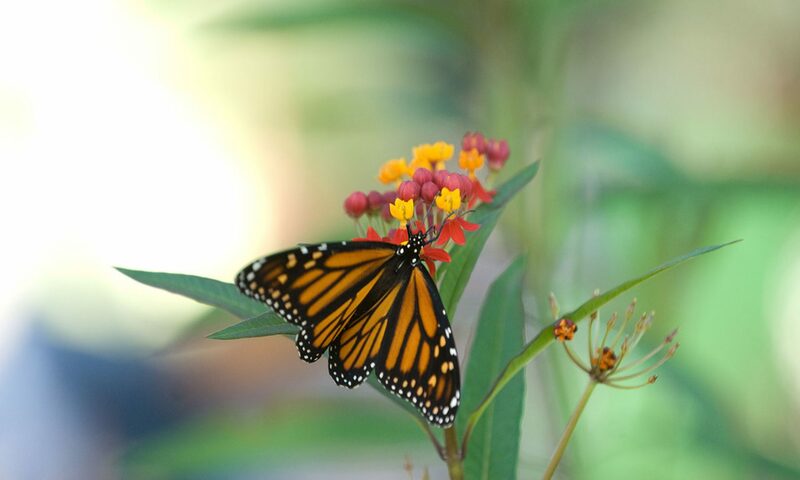 If the USDA APHIS made their decision based on Farm Bureau et al, their decision is flawed. If they made their decision on the court case. We really don’t know exactly why they made their decision because the department release provides no information. Delcianna Winders, Academic Fellow at Harvard’s Animal Law & Policy Program, has already filed a FOIA related to the communications leading to the USDA APHIS action. She’s asked for expedited handling of the request, especially in light of the controversial nature of the decision. In the meantime, we turn to the tech community to recover the data we lost. A friend from Sunlight Labs was able to provide a CSV file of USDA APHIS license holders, as well as some of the state and general reports. Unfortunately, this doesn’t include the individual inspection reports, and it won’t include future data. Ultimately, if the USDA APHIS doesn’t reverse its decision, we’ll have to take them to court.